Finished Home Remodeling Q & A with MainStreet Client, Becky B. 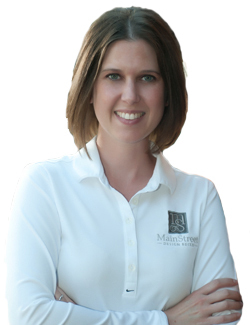 Home » Home Renovation Blog » Q & A with MainStreet Client, Becky B.
Q: What concern(s) did you have going into your home remodeling project? A: When my husband and I married, we were blending two families together and considered buying a new home. Instead, we decided to remodel the home my husband purchased, which was his parents’ home before they retired and moved into a condo. The home is a 3,600 sf 1960s tri-level and was the home my husband grew up in. Naturally, it held a lot of memories and sentimental value to him. Although we were fearful of taking on a large remodeling project, knowing the horror stories of remodeling projects gone wrong, I knew there was no way we could sell it. Our only choice was to remodel. Q: What was your favorite part of your remodeling experience with MainStreet Design Build? Why? A: The communication and the way they handled the job. They also listened to us. We always felt like we were the only job MainStreet had. After hearing horror stories of remodeling projects with other contractors, I was terrified about what we’d find at the house. Fortunately, the site was cleaned up every day. We had access to our home when we needed it. We even had painters working at our home during St. Patrick’s Day. It became very clear that the independent contractors who work with MainStreet know each other’s schedules, so they could complete their own work following someone else’s completed task, and prevent holding up the rest of the project. MainStreet also seems to have an exclusive 10-15 year relationship with most, if not all, of their contractors. Seems to me the independent contractors wouldn’t continue working for just MainStreet if they didn’t have a great working relationship with them. When we made inquiries, particularly with people at the Michigan Design Center, everyone recommended MainStreet Design Build. There was never any identified complaint or negative comment found anywhere. We felt completely comfortable in who we were working with, right from the start. Note: We completely gutted our house. It was a 9-month project. I have friends who chose to work with a different remodeling firm around the same time. They still haven’t moved back into their home, and their remodel was not as extensive as ours. Q: After living in your newly remodeled space, what has become your favorite design feature? 1) I wanted a walk-in pantry. At first, MainStreet didn’t think we could fit it into the design configuration. But, Christine worked hard, even taking our floor plans home with her, to find a solution. And, a solution she did. Not only did I end up with the walk-in pantry I wanted, but it was also painted in the likeness to my grandma’s kitchen (a baby blue), which makes me think of her when I see it. It was also designed so beautifully into the space that it looks like it was always there, as part of the original floor plan. 2) When MainStreet designed our mudroom, Dwain built a beautiful custom bench into the space. He had thoughtfully asked my husband what his parents’ names were early in the process. Months later, during the reveal, he surprised us by signing the bench top “In loving memory of Jo and Duane” as an ode to my husband’s parents. Telling people about this surprise detail still moves me to tears. 3) Also, during the renovation, MainStreet was very careful to protect and tape off the stone fireplace that my husband’s mother had labored over—she had hand-picked every stone. MainStreet took extra precaution to ensure it wasn’t harmed during the remodel, which we so appreciated. 4) We also noticed how meticulous and detail-oriented they were during construction. They set up our garage like a store. They knew where every item was, organized and set up to be found easily and protected from damage. Q: How did the walk-in pantry design feature come about? A: Our 1960s home is built as a tri-level. There is a set of 4 to 5 stairs going up and 4 to 5 stairs going down. Christine found a way to bump out a wall and create space in front of the landing. Like I said, she designed it so beautifully into the space that it looked like it was part of the original floor plan. Q: What room did you dislike the most before your remodel? A: Most definitely the kitchen. It was built in the 1960s taking up a 10 x 10-foot space. The foyer was dark, the living room was long, the dining room was sectioned off, and there were four walls surrounding the kitchen with one doorway entry. As a blended family with seven children, we found it difficult to use the dining room table, or gather in one place. Now, it’s easier to have dinners together, spread out and not be on top of one another. Plus, it’s beautiful!! Q: Which room do you now like the best? A: The kitchen. It’s the place we live in. My husband’s parents had added on to the house before they sold it to him. Now the living space beyond the kitchen flows together. We actually hosted Christmas this year. We had 40-45 people in our home and we didn’t need to bring out additional chairs or tables to accommodate everyone. The entire space is usable and beautiful—from the tall island used for seating, to the dining area and the living room. The space is open but still feels like we have defined room areas. Dwain built us a beautiful set of custom double-sided bookcases that separates the dining area from the foyer. It separates each space beautifully while keeping an open feel. He also built custom suspended shelving for the kitchen. Q: Which newly remodeled space gets used the most / do you spend the most time in? Why? A: The kitchen and dining area. My husband and I love to cook. He can be on one side, and I on the other. The kids hang out around the taller island. We also have quesadilla night every week—dinner with the kids. Our new space makes it possible. Now, some of the kids will invite friends over to join them. We didn’t have the space to do that before. When the kids aren’t home, our favorite space is the living room—a quiet comfortable space to relax and enjoy ourselves, just the two of us. Q: How do your kids like the new space? How do they use it? A: My husband’s four kids grew up in this house, where they were raised, so I was a bit nervous gutting the space and starting a complete interior remodel. But, my fears were allayed. The overall sentiment from everyone was that it felt more like home than it ever did. Q: What is your pet’s name? How has he/she adjusted to your new living space? Anything you’ve had to change to help him/her adapt? A: Our pet’s name is Winafred. She is a bulldoggle and we also have a pit mix that was a rescue. They love running circles around the house. They didn’t have the openness to do that before. In the mudroom, Christine helped us find someone who could custom-design a bench cushion for us. We chose an adorable dog pattern. Now we can say they have a room too. Q: How has your lifestyle changed since the remodel? A: Now we spend a lot more time in the house. For impromptu get-togethers, we used to go out to dinner a lot, mostly because we didn’t have the space to accommodate everyone. Now, we have breakfasts, dinners, and spontaneous get-togethers in the comfort of our own home, allowing us to enjoy each other’s company and show off our beautiful space. Q: What does it feel like living in a home that looks like it should be featured in a magazine? A: Strange at first. We were so used to the old space. I had a friend comment “how bougie” after learning that our freezer and refrigerator were flanked on both sides of the stove to balance the spacing. It feels indulgent, I guess because it is such a great space. But, you know what? We deserve it! Q: In hindsight, is there anything you would do differently if you were to remodel again? A: I didn’t pay enough attention to the electrical plan. Furniture is now designed into spaces not against the wall. So, I didn’t have floor outlets put in. I never thought of it. In hindsight, I would also have MainStreet finish off the upstairs. A: You know, we’ve had a couple of issues come up since the remodel. For example, we had trouble with the washing machine. The amazing thing about MainStreet is that they will deal with the manufacturer or supplier for you. Their philosophy is that they can more often than not get a problem resolved quickly for you. So, instead of us having to call to service the washer under the warranty coverage, they did it for us. We were presented with a beautiful binder that housed all of our warranty items. They also assured me, which I trust fully, that they will always be a phone call away to handle any issue we might have with our home. We even had a furnace issue on another property of ours (not the one that MainStreet worked on), and they still called for us and had someone out the next day. Truly amazing!